This simple, quick recipe is the best with it's easy, flavorful sauce and hearty meatballs! 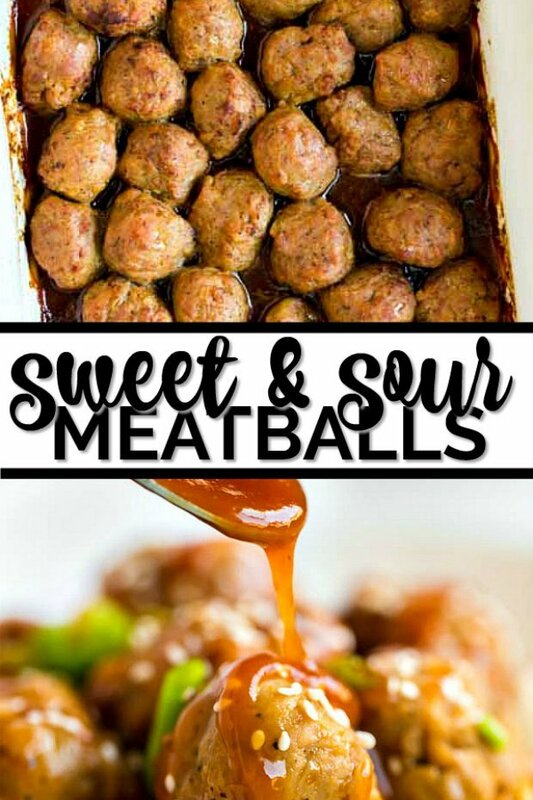 These simple homemade Sweet and Sour Meatballs are the best with their delicious quick sauce that is full of flavor! 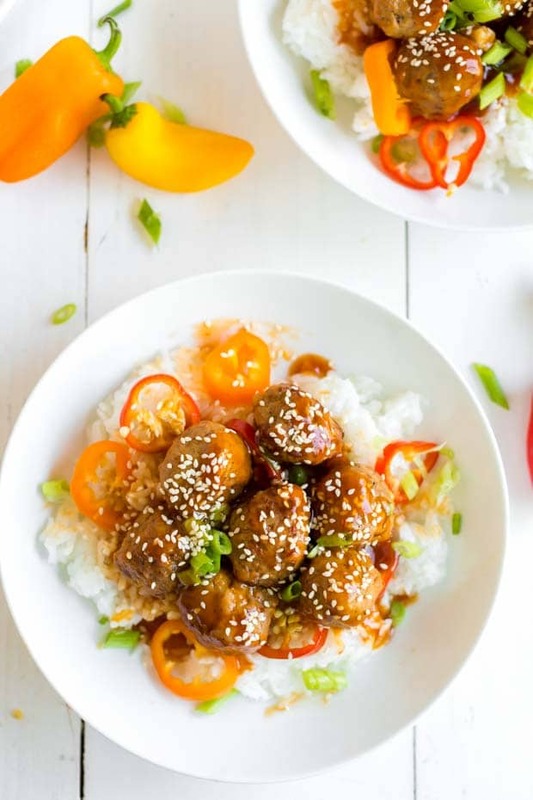 This Sweet and Sour Meatballs recipe is the best easy recipe. 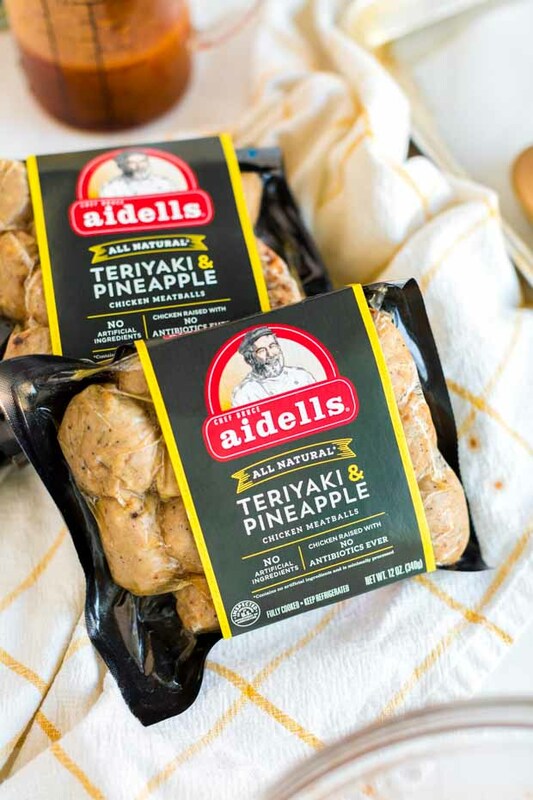 A simple pineapple sauce creates the perfect glaze before the Aidells® Chicken Meatballs are baked in the oven. 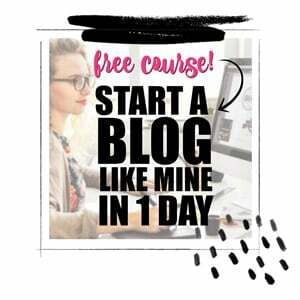 You could serve as an appetizer (I love keeping them warm in my slow cooker) or serve them over rice as a quick, hearty dinner. Versatile and delicious, you’ll love them. You guys, it’s my absolute favorite time of year right now. The air is crisp, my fireplace is roaring, there are delicious smells coming from my kitchen and my holiday countdown has begun. It’s perfect. I love being home with my people this time of year. Our family is almost always busy — between work, school and extracurriculars, we’re always on the go. I bet you can relate! So I guard our family time fiercely. Time spent at home is precious, especially during the busy holiday season when even more is added to our plate. Because of all those pulls on our time, I do my best to be very intentional during this season. It’s the best plan for saving my sanity and creating wonderful memories. On my calendar, I schedule the free gaps in between our responsibilities as family time. I write it in marker and it’s non-negotiable. When we have those pockets of time, we make the most of them. 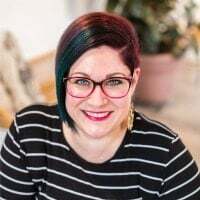 It’s quality time: to connect, to recharge, to make memories, and, of course, to create and eat delicious comfort food. When it gets cold out, I spend a lot of time in kitchen. I experiment with new recipes and bake up family favorites. It’s all the good food and all the good smells! It’s one of my favorite ways to spend free time. To help me get it all done, I rely on my favorite brands and products to help deliver excellent taste and quality that I can feel good about serving to my family. 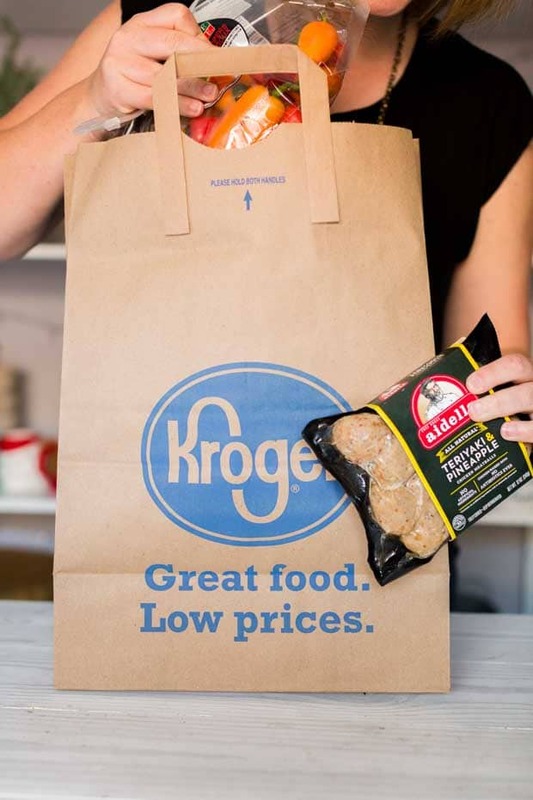 On a recent shopping trip at Kroger, I picked up Aidells® Chicken Meatballs. They’re going to be the star of the show in today’s Sweet and Sour Meatballs that I’m going to be sharing with you. Aidells® Chicken Meatballs offer unique flavor combinations that are made in small batches using only real, all-natural ingredients. They fulfill my goal of serving the very best to my family. Simple, homemade recipes are my favorite. In my world, food is a love language and I want to serve my little tribe the very best. 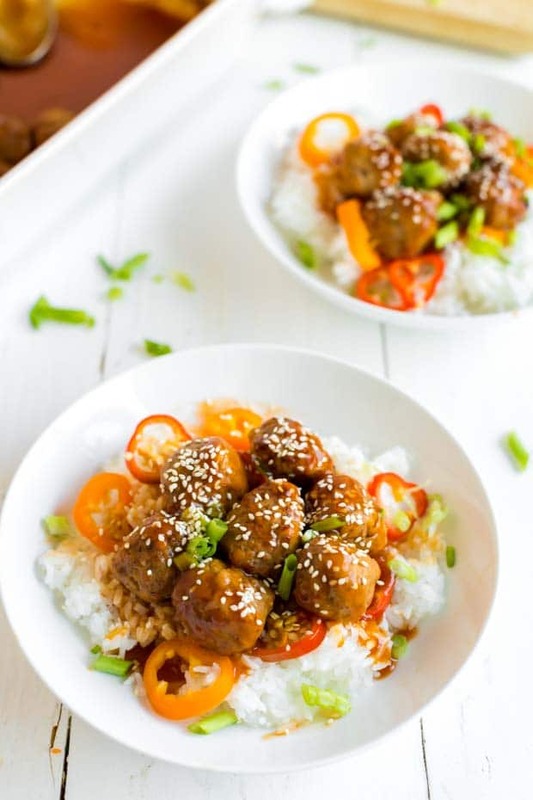 I also love how quick this oven-baked Sweet and Sour Meatballs recipe comes together. This easy recipe is a great option for a meal or to be served as an appetizer. Everyone will rave over the delicious sauce! 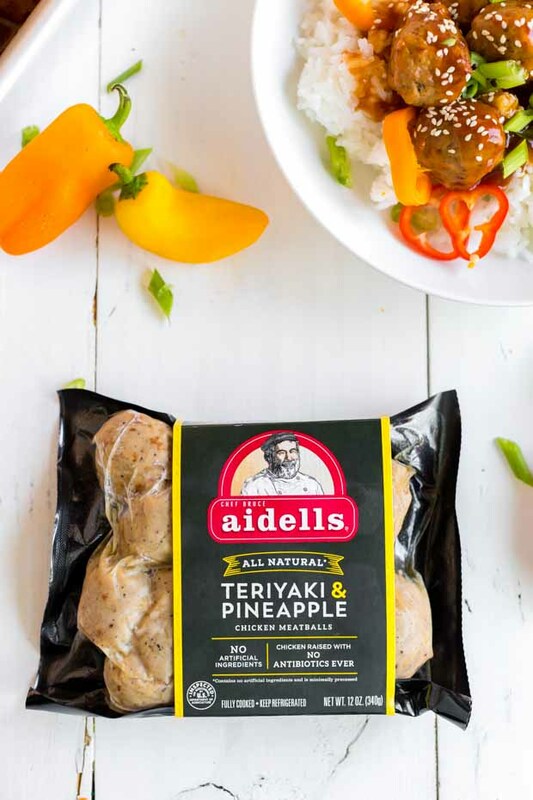 You’ll need… Aidells® Teriyaki and Pineapple Chicken Meatballs, teriyaki sauce, chili sauce, pineapple juice, corn or tapioca starch, green onions, sesame seeds, and sweet peppers. If you’re making it a meal, you’ll also want cooked jasmine rice. Your shopping trip can also help others in need. This means when you purchase a participating Tyson product (like the Aidells® Chicken Meatballs), Tyson Foods, Inc. will make a $1 donation to Feeding America® . What a great, simple way to give back this holiday season! In a medium size mixing bowl, whisk together teriyaki sauce, chili sauce, pineapple juice and tapioca starch until there are no more lumps of starch. Reserve 1 cup of sauce. In the remaining sauce, add the meatballs and toss to evenly coat the meatballs. 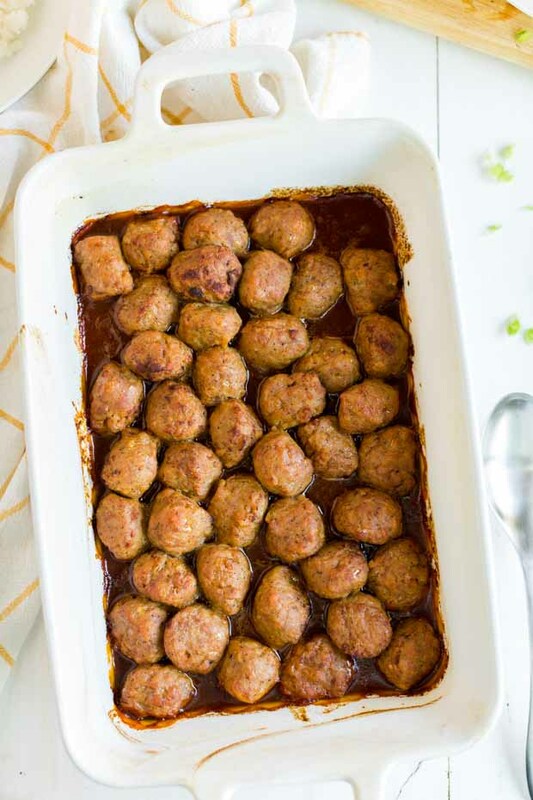 Pour into a 9×13 baking dish and spread meatballs out in an even layer. Bake at 400 degrees F for 25-30 minutes until meatballs start to brown and the sauce thickens. While the meatballs are cooking, pour the reserved sauce into a small sauce pan and bring to a low simmer. Allow it to simmer until mixture has thickened. Remove from heat. What Do You Serve with Sweet and Sour Meatballs? When meatballs are done, remove from oven and serve on top of jasmine rice. Garnish with sesame seeds, green onions and peppers. 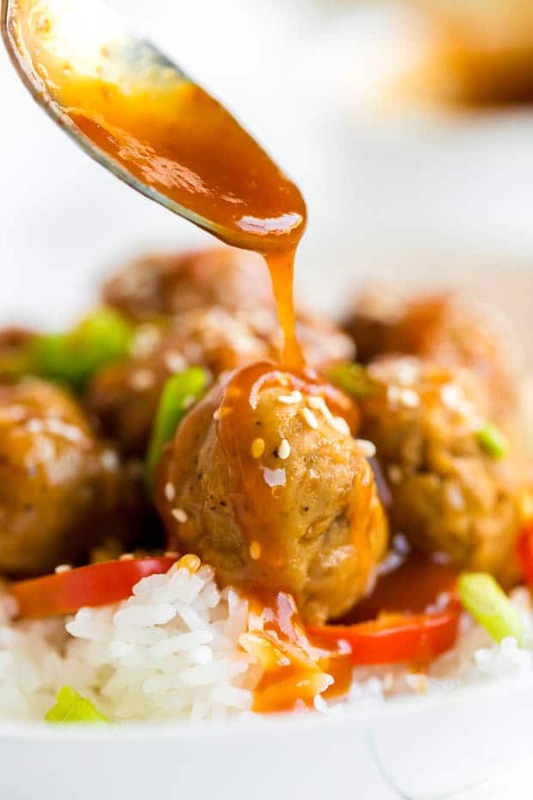 I promise, you’re going to love this amazing sweet and sour sauce for meatballs — people will be begging for your recipe. Speaking of people, if you’re serving these at a party as an appetizer, you could keep them warm in a slow cooker. This recipe has become an often-requested staple in our home. The whole family loves it, which is a win in my book. On a recent evening, we noshed on sweet and sour meatballs for dinner before heading into the living room for game night. Warm cookies, cold milk and a fierce game of whodunit in front of the fireplace was the perfect way for our family to slow down and enjoy moments together. I hope your family will enjoy every magical moment of this season together — and these sweet and sour meatballs, too! Remember that your participating Tyson product purchase at Kroger means Tyson Foods, Inc. will make a $1 donation to Feeding America®. Pour into a 9x13 baking dish and spread meatballs out in an even layer. Bake at 400 degrees for 25-30 minutes until meatballs star to brown and the sauce thickens. While the meatballs are cooking, pour the reserved sauce into a small sauce pan and bring to a low simmer. Allow to simmer until mixture has thickened. Remove from heat. Sooo yummy! My kid love it! This recipe was so simple and easy to put together. It will be a go to for sure on week nights.